Candida albicans is a fungal pathogen that is difficult to cure clinically. The current clinic C. albicans-inhibiting drugs are very harmful to humans. 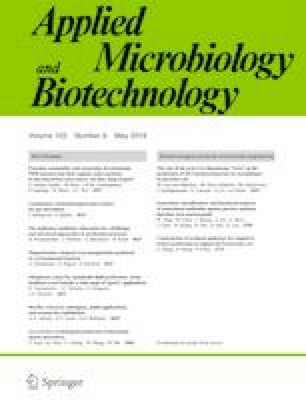 This study revealed the potential of iturin fractions from Bacillus subtilis to inhibit C. albicans in free status (MIC = 32 μg/mL) and natural biofilm in vitro. The inhibition mechanism was identified as an apoptosis pathway via the decrease of mitochondrial membrane potential, the increase of the reactive oxygen species (ROS) accumulation, and the induction of nuclear condensation. For in vivo experiments, the C. albicans infection model was constructed via intraperitoneal injection of 1 × 108C. albicans cells into mice. One day after the infection, iturin was used to treat infected mice at different concentrations alone and in combination with amphotericin B (AmB) by intraperitoneal injection. The treatment with AmB alone could cause the death of infected mice, whereas treatment with 15 mg/kg iturin per day alone led to the survival of all infected mice throughout the study. After continuously treated for 6 days, all mice were sacrificed and analyzed. As results, the combination of 15 mg/kg iturin and AmB at a ratio of 2:1 had the most efficient effect to remove the fungal burden in the kidney and cure the infected mice by reversing the symptoms caused by C. albicans infection, such as the loss of body weight, change of immunology cells in blood and cytokines in serum, and damage of organ structure and functions. Overall, iturin had potential in the development of efficient and safe drugs to cure C. albicans infection. The online version of this article ( https://doi.org/10.1007/s00253-019-09805-z) contains supplementary material, which is available to authorized users. The authors thank Northwestern Polytechnical University Analytica & Testing Center, Central Laboratory and Key Laboratory for Space Bioscience and Biotechnology, School of Life Sciences, Northwestern Polytechnical University for providing the instruments used in this study. This work was supported by the National Natural Science Foundation of China (grant no. 31701722), the Modern Agricultural Industry Technology System (CARS-30), the National Key R&D Program of China (2017YFE0105300), the Key Research and Development Plan of Shaanxi Province (2017ZDXL-NY-0304), the China Postdoctoral Science Foundation (No. 2017M620471), the Shaanxi Provincial Natural Science Foundation (No. 2018JQ3054), and the Postdoctoral Research Project of Shaanxi Province (No. 2017BSHEDZZ103). The experimentation, transportation, and care of the animals used in these experiments were performed in compliance with the relevant laws and institutional guidelines of Shaanxi Province, China. This study was approved by the Experimental Animal Care and Ethics Committees of Northwestern Polytechnical University, Shaanxi Province, China.